Dr. Andrew Alleyne is the Ralph and Catherine Fisher Professor in the Department of Mechanical Science and Engineering at the University of Illinois at Urbana-Champaign, as well as the Director of the National Science Foundation Engineering Research Center on Power Optimization for Electro-Thermal Systems (POETS) headquartered there. Andrew grew up in Jamaica and came to the United States when he was in high school. He received his B.S. in Engineering degree in Mechanical and Aerospace Engineering from Princeton University. He went on to study Mechanical Engineering at the University of California, Berkeley where he was awarded his M.S. in Engineering and Ph.D. degrees. In 1994, Andrew joined the faculty at the University of Illinois at Urbana-Champaign where he remains today. Andrew has received many awards and honors throughout his career, including an NSF CAREER award, the Xerox Award for Faculty Research, a Fulbright Fellowship, and the SAE International Ralph R. Teetor Educational Award. In addition, Andrew was also named a Fellow of the American Society of Mechanical Engineers, and he has received their Gustus Larson Award, Charles Stark Draper Award for Innovative Practice, and Henry Paynter Outstanding Investigator Award. Andrew has joined us today to talk about his experiences in life and research. Andrew’s interests have evolved over time. In his younger years, he used to play a lot of sports, especially basketball. Now, he spends much of his time with his wife and two teenage boys when he’s not at work. This translates to a lot of driving back and forth to soccer games, but also going on road trips and having fun together. He is an engineer who works on control systems. Control systems basically provide an automated way of making decisions. They take in relevant information and use algorithms to make correct decisions based on the information gathered. This can be challenging because they don’t always have all the information they need to make the right decisions. Andrew’s group designs algorithms that make the best decisions possible with the information available to keep systems stable and performing well. Andrew’s father was a medical doctor and his mother was a social scientist, so he always had a sense of what the life of a faculty member was like. From a young age, he was fascinated by mechanical things and spent his time playing with legos, learning about cars, reading about cool aircraft, and trying to build things that flew. In particular, Andrew remembers experimenting with different shapes of kites to optimize flight and building his own models. He was determined to become an engineer. Andrew’s parents didn’t know a lot about engineering, but they supported his interests and curiosity, even when his experiments went awry. Though it is much more common in the scientific literature to find papers about success stories, Andrew has had a handful of well-received papers describing projects that didn’t work. In one case, he was working with a large company, and they were trying to optimize their product to work better at higher speeds. They just weren’t getting the performance they wanted when the system was operating above a certain speed threshold. Competing companies also couldn’t seem to resolve this issue. With their analyses, Andrew and his students demonstrated there was a fundamental mathematical reason why this was the case. The upper management of the company really appreciated their description of why it wasn’t working because then they could abandon that project and spend their time and money addressing other areas that would give them a competitive advantage over other companies. For Andrew, the important successes at this stage of his career involve mentoring the graduate students in his lab. Andrew’s goal is to help students find their path in life and to ensure they know that there isn’t just one set path for their career. He tries to figure out what they want to do and what they are passionate about. Then, they work together to develop a plan to achieve those goals. For example, a former student came to the lab with great practical skills, but was struggling with some of the theoretical and mathematical components. They were able to identify his weaknesses, address them, and he has now gone on to accept an excellent faculty job. In another case, a really intelligent student came in with a strong background, but things just didn’t seem to click research-wise. After talking it through, Andrew discovered that the student enrolled in graduate school more because he thought he was supposed to than because he wanted to. He didn’t need a PhD to get the job he wanted, so he changed his path and now has a fantastic job working for a company. The places that have the biggest impact on Andrew during his travels are museums that show the history of science. These reveal that science is dynamic and has a big impact on civilization. Visiting the Gutenberg Museum in Germany was phenomenal because Andrew was able to reflect on the invention of the printing press and how it revolutionized the transfer of information and allowed for more widespread sharing of knowledge. On another trip to Europe, Andrew visited the Royal Observatory Clocks and Timekeeping Museum in Greenwich. Before visiting the museum, he hadn’t appreciated how telling time was critical for the success of the British Empire. Being able to keep accurate time at sea allowed them to coordinate naval operations and made them a dominant global force. These museums make you reflect on how one invention can have an enormous impact on society. About ten years ago, Andrew’s lab started a tradition where they exchange gifts at an annual holiday party. This is a great ice breaker for students and provides a window into what they are interested in. Andrew’s kids usually come in to participate in the game, so it is also a great way for students to see that he is human and has a life outside of science as well. One of the most memorable gifts brought in was a five pound gummy bear. No one is indispensable. Don’t put people on such a high pedestal that the organization sacrifices the good of the whole for the benefit of one or a few. Also, remember that though you are important, you are not indispensable. You can take breaks, you don’t have to let work control your life, and the organization will continue to function while you are attending to other areas of your life. For your career, find something you really like doing, and do it to the best of your ability. Chances are it will be successful, and opportunities will come to you. Andrew’s work consists of dynamic modeling of complex systems as well as the development and implementation of advanced control algorithms on a number of different experimental test beds. Control theory is the science of how to make systems behave in a particular way by supplying particular inputs to achieve the desired outputs. Andrew has supervised over 80 M.S. and Ph.D. students and has approximately 400 conference and journal publications. He has been a Distinguished Lecturer of the Institute for Electronic and Electrical Engineers (IEEE) and a National Research Council (NRC) Associate. In addition, Andrew has held several editorial positions for American Society of Mechanical Engineers (ASME), IEEE, and the International Federation of Automatic Control. He recently chaired the ASME Dynamic Systems and Controls Division, is a member of the IEEE Controls Systems Society Board of Governors, and has been active in several external advisory boards for universities, industry and government including the Scientific Advisory Board for the U.S. Air Force. Andrew’s record of campus service includes the Associate Dean for Research in the College of Engineering and the Associate Head for Undergraduate Programs in Mechanical Science and Engineering. 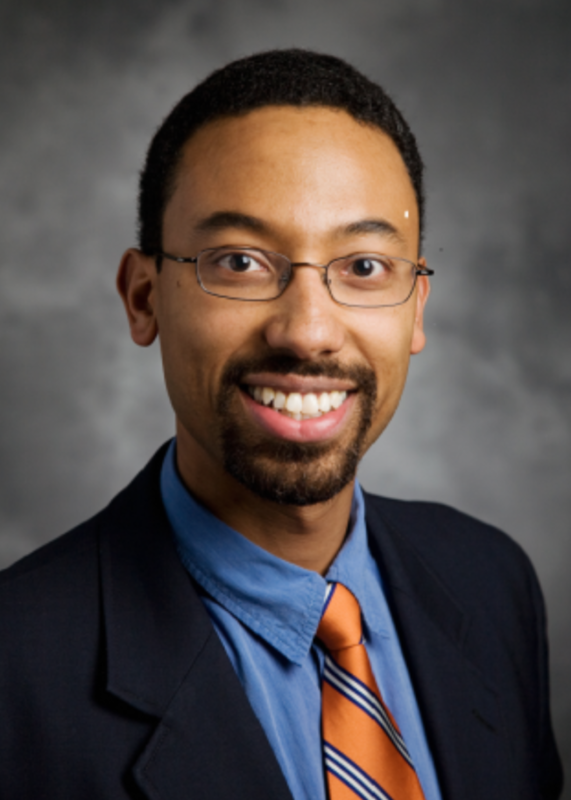 In addition to research and service, he has a keen interest in education and has earned the College of Engineering’s Teaching Excellence Award, the UIUC Campus Award for Excellence in Undergraduate Education and the UIUC Campus Award for Excellence in Graduate Student Mentoring.